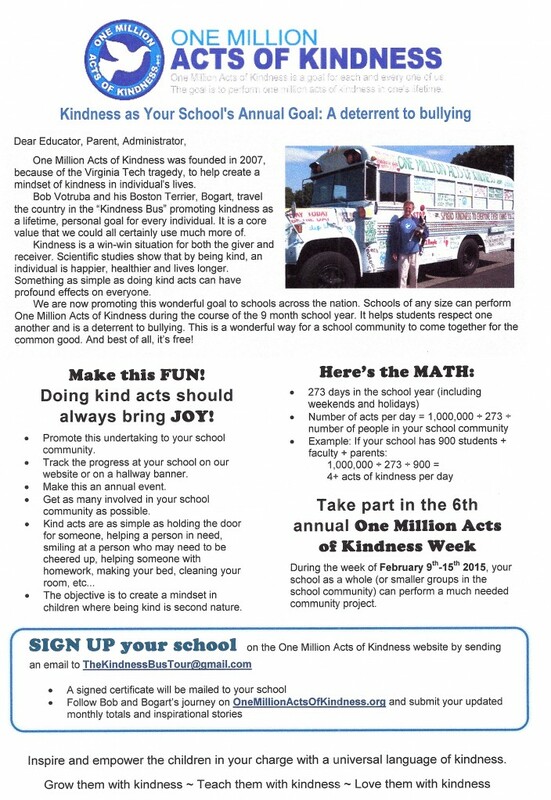 For the next four weeks, I along with a few volunteers will promote an initiative for the school year. I need many more volunteers!! This entry was posted on Friday, August 22nd, 2014 at 10:07 am	and is filed under Kindness. You can follow any responses to this entry through the RSS 2.0 feed. You can leave a response, or trackback from your own site.